The taste of Organic White Peony tea will take you to a stratospheric high. 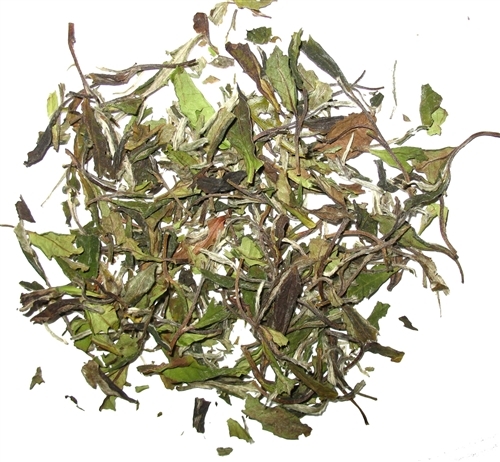 If you are an enthusiastic tea lover, go for Organic White Peony tea. A top choice for all tea connoisseurs. 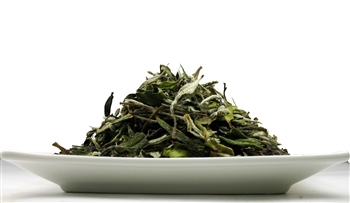 White Peony tea is the most common style of traditional white tea and consists of two tealeaves and a silvery bud. Gentle processing results in an amber orange infusion with low astringency and a weighty mouthfeel. Hot tea brewing method: When preparing by the cup, this tea can be used repeatedly (à la chinoise) - about 3 times. The secret is to use water that is about 180°F or 90°C. Place 1-2 teaspoons of leaves in your cup and let the tea steep for 3 minutes. Then begin enjoying a cup of enchantment - do not remove the leaves from the cup. Once the water level is low - add more water, and so on - until the tea flavor is exhausted. Milk or sugar will mask the delicate characters of this tea and are not recommended. Look at the pattern of the leaves - they foretell life.